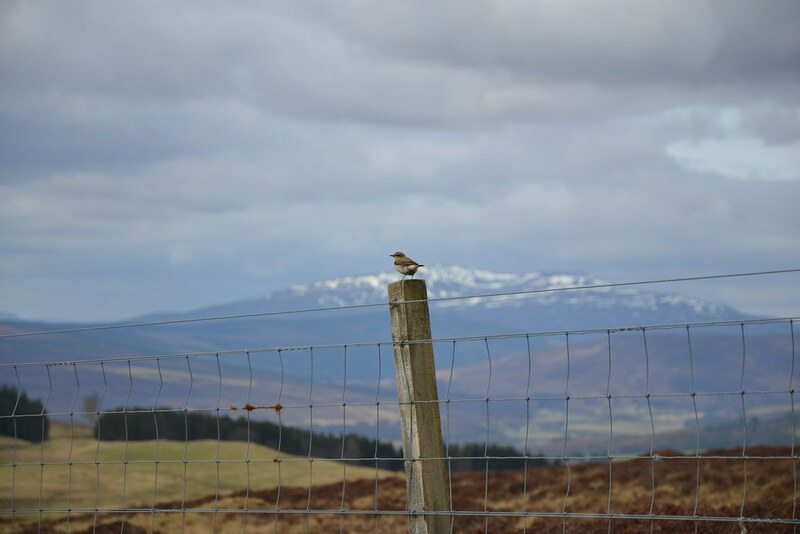 Saturday April 20th 2013 and after spring had sprung the previous day, the forecast for today was pretty decent, so Peter got the bus from Glasgow to Harthill services where I picked him up and we headed the 100 mile distance to Blair Atholl in my car. Cruise control at 56 mph saw the Honda return a pretty decent 56 mph on this run, the downside being we never started Beinn a' Ghlo until around 10:45am - would that be enough time to get all 3? Being late to the car park all of the spaces were taken so we parked on the grass verge instead, no meter to feed here. 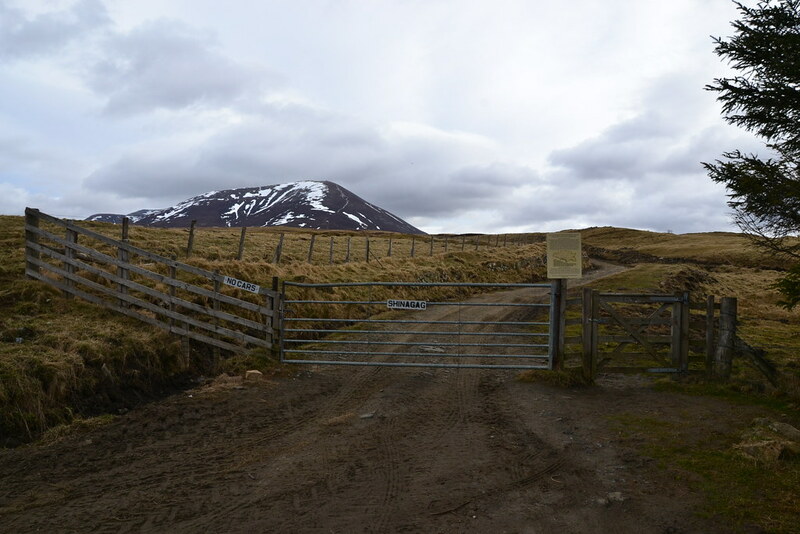 Peter, being a very keen mountain biker knew the area well, so it was through the gate and up the landrover path. 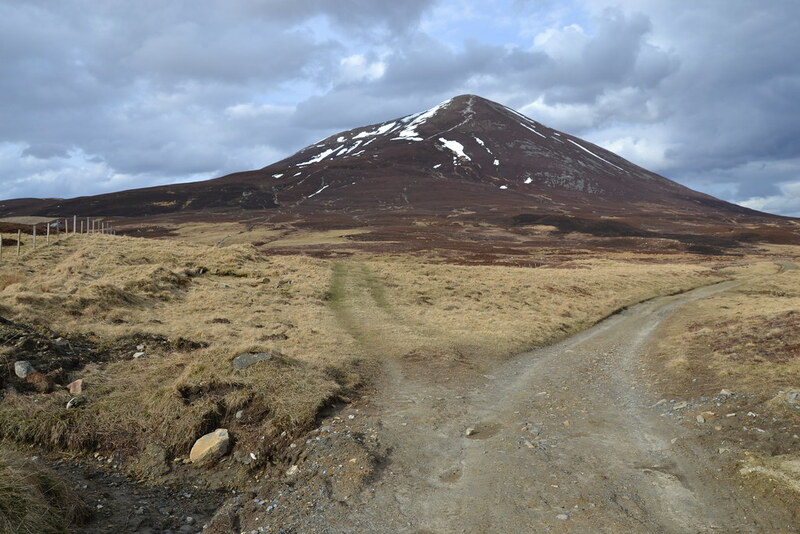 We knew we had to make a left fork off the path and took that just a bit to early, at the top of the rise. 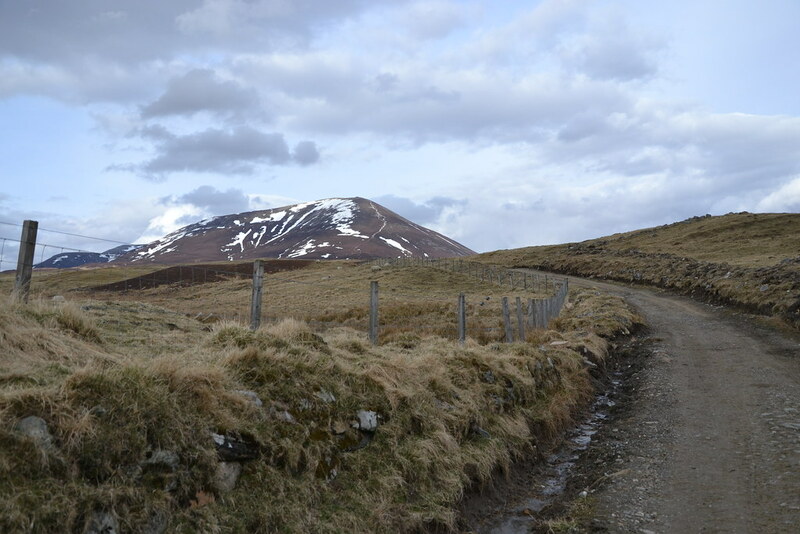 What you *should* do is head downhill a bit until you see the hut on the left and take the very obvious left fork just before the ford. 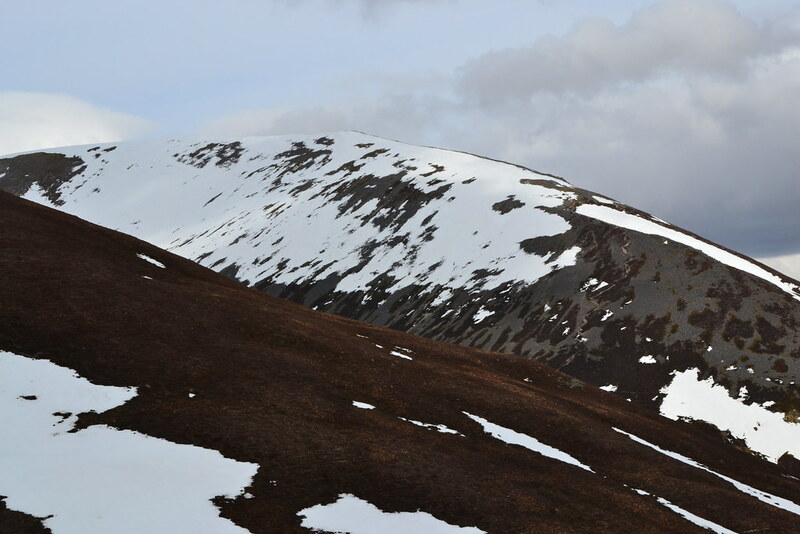 No big deal - route finding here is simple due to that 6 lane freeway that scars the first munro of the day Carn Liath. 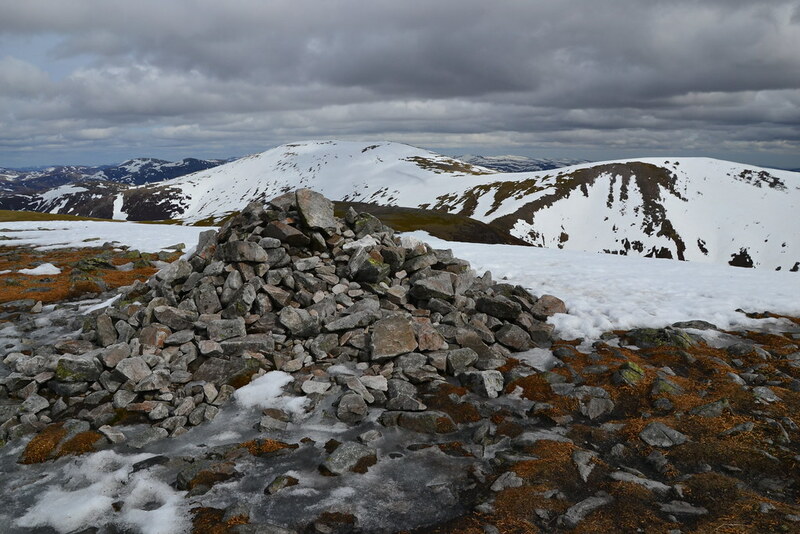 The ascent is quick and with only 1 false summit, we were atop the 3198 feet munro of Carn Liath (#1) in around 2 hours. 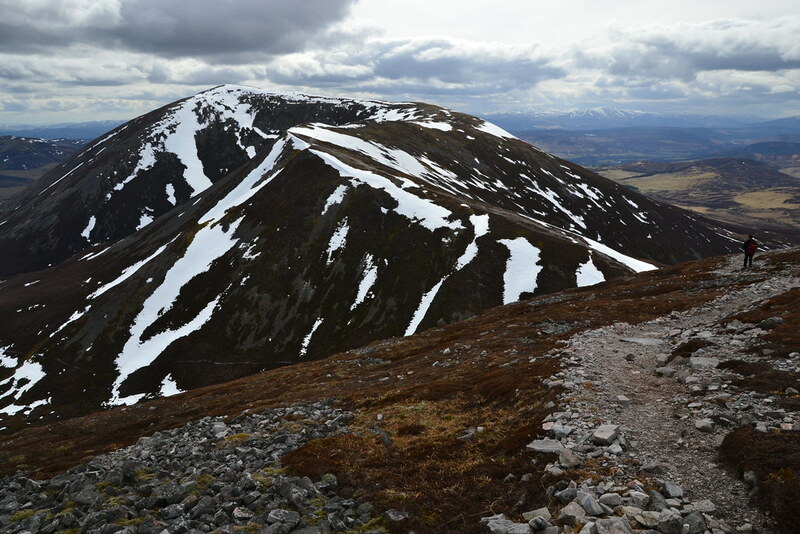 Major wow moment here when you see the other two munros ahead. 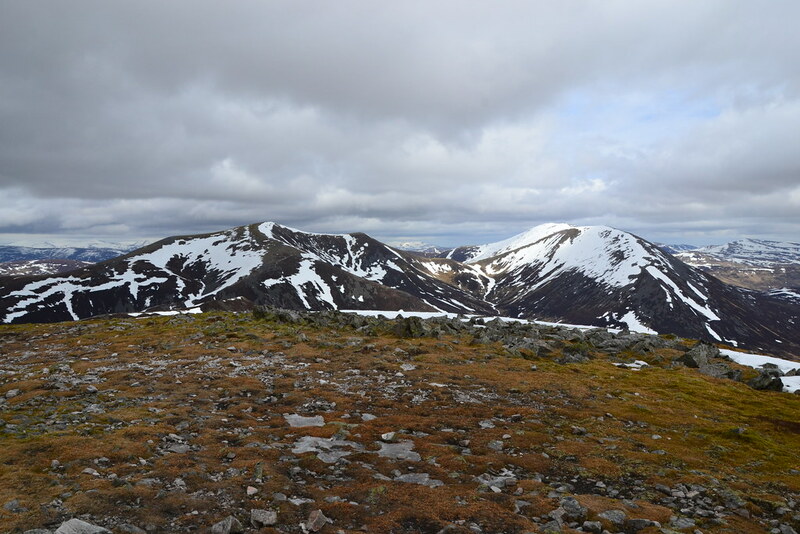 The second munro of the day Braigh Coire Chruinn-bhalgain (#2) is separated from Carn Liath by a lovely ride, drop into beallach and another ascent. 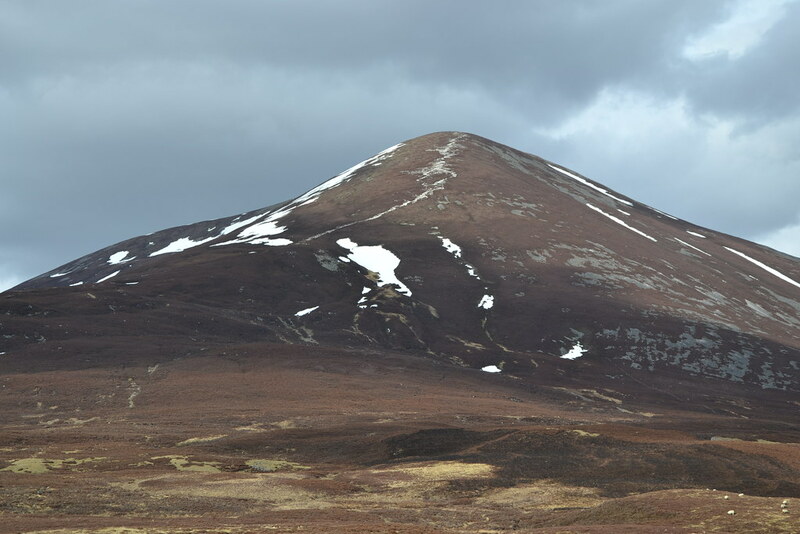 The third munro, the highest of the 3 that make up Beinn a' Ghlo is Carn nan Gabhar (#3)which stands proud at 3678 feet. 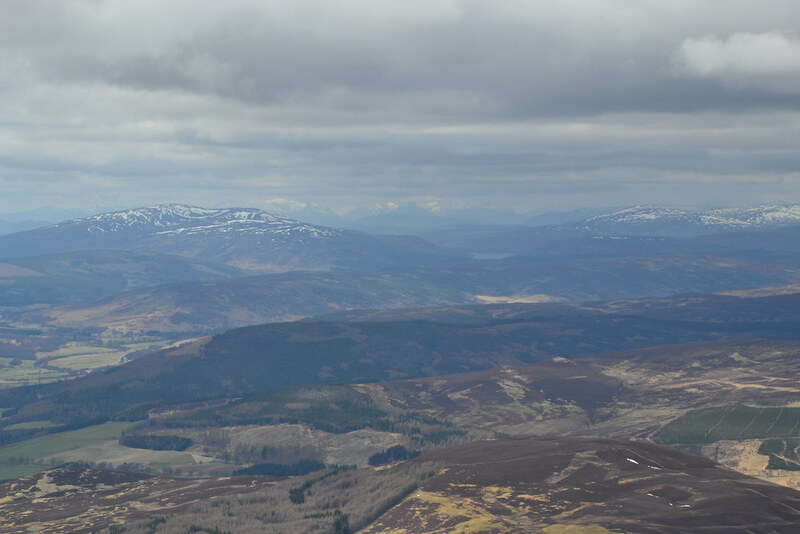 View to the range in the West. 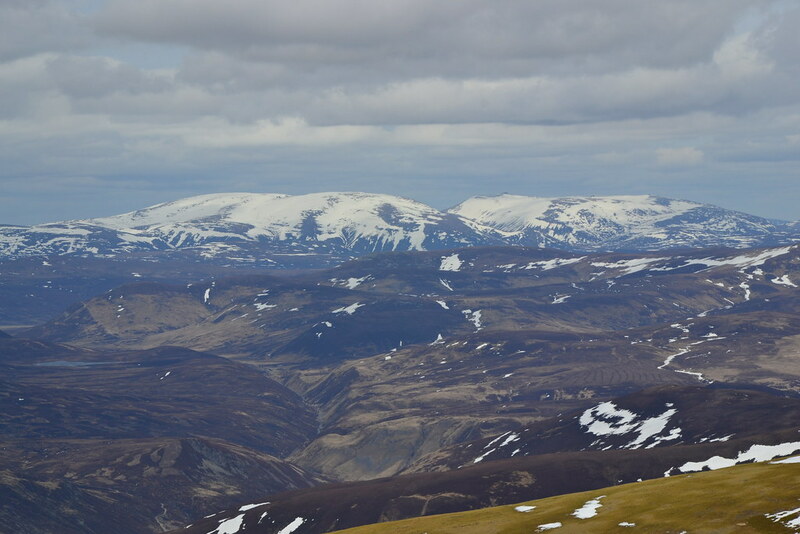 Is that Ben Alder on the left? 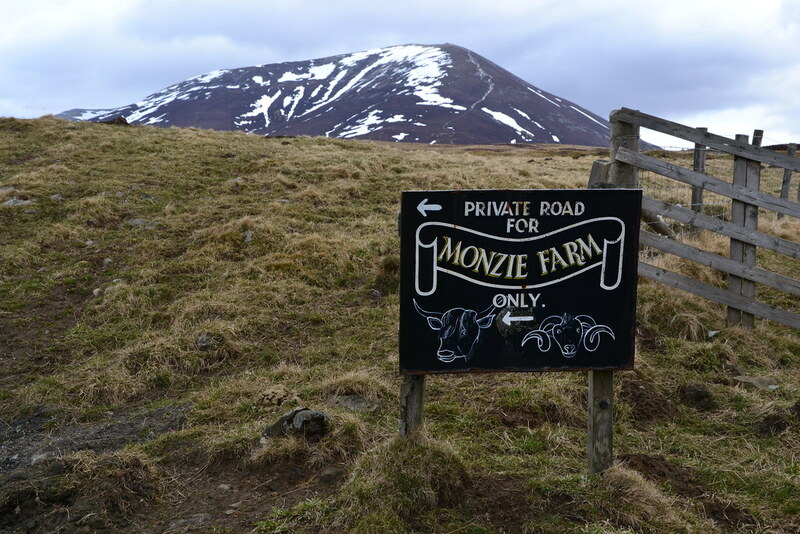 What makes these munros easier is that the start is well over 300m above sea level! 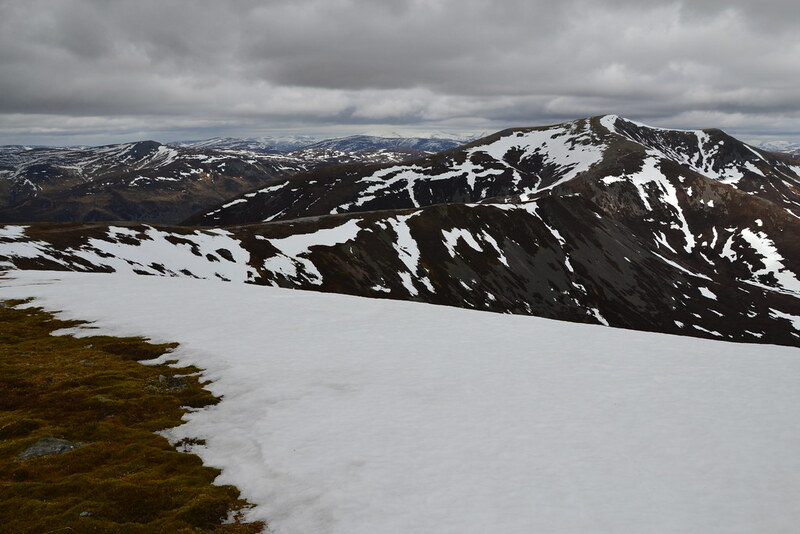 We were taken aback my the amount of the "white stuff" still hanging around, especially on munro #3. 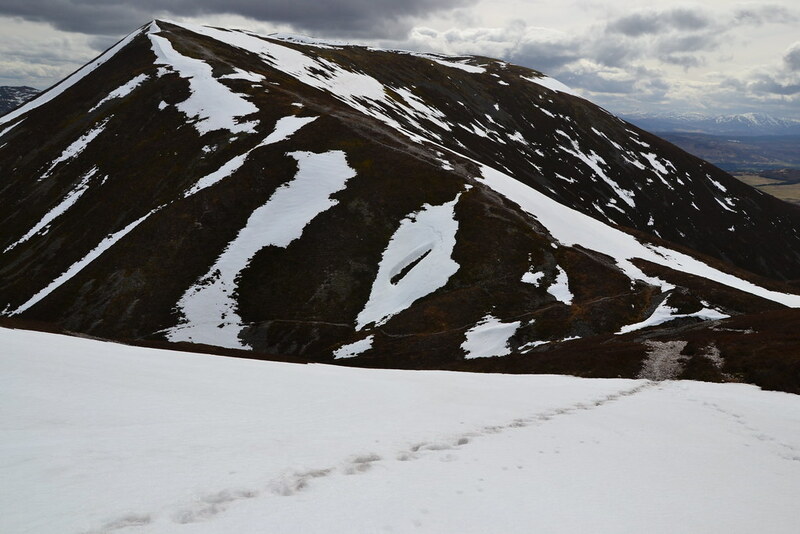 The descent down the ridge was very pleasant, some snow traversal required byt nothing that needed ice-axe or crampons. 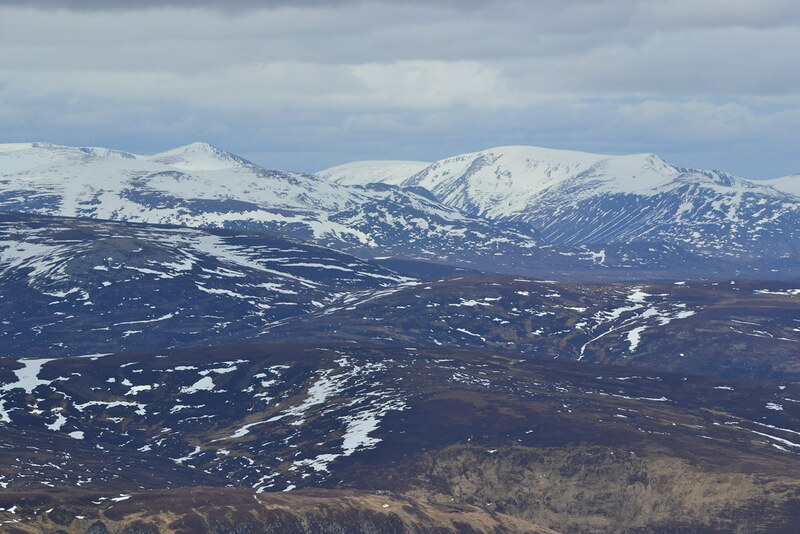 The views to the main cairngorms were really clear and we could make out Braeriach and Ben Macdui separated by the chasm that is the Lairig Ghru. To the south the distinctive rounded shape of the Lomond hills in Fife. 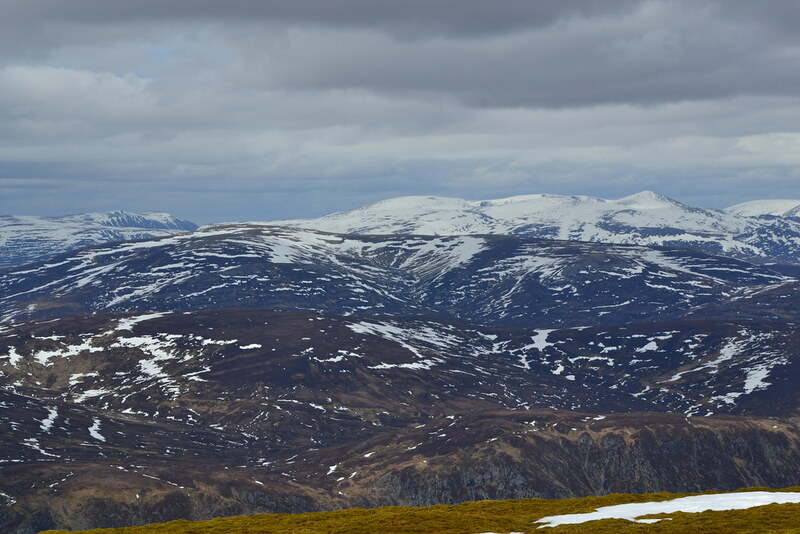 We weren't sure the hills that we could see to the west, but there was a very impressive set here. Any takers? 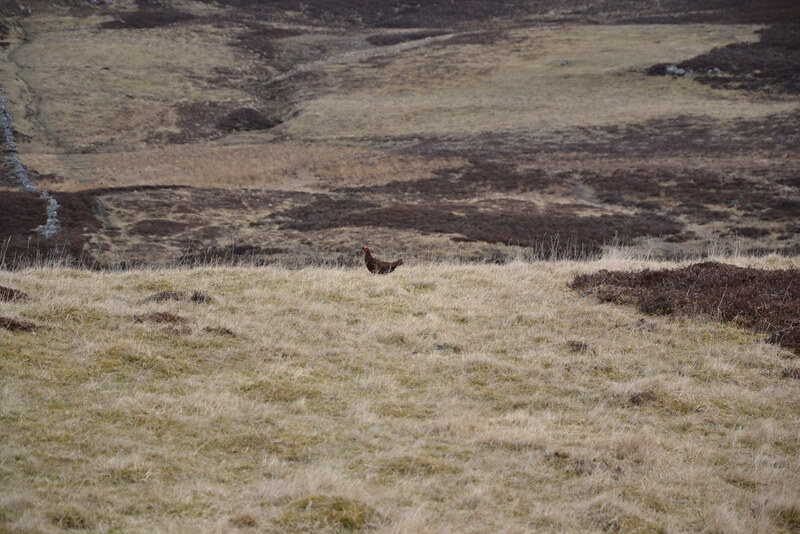 We met a couple (not WH members - as we ask everybody we meet) at the beallach between #2 and #1. They had descended from #2. 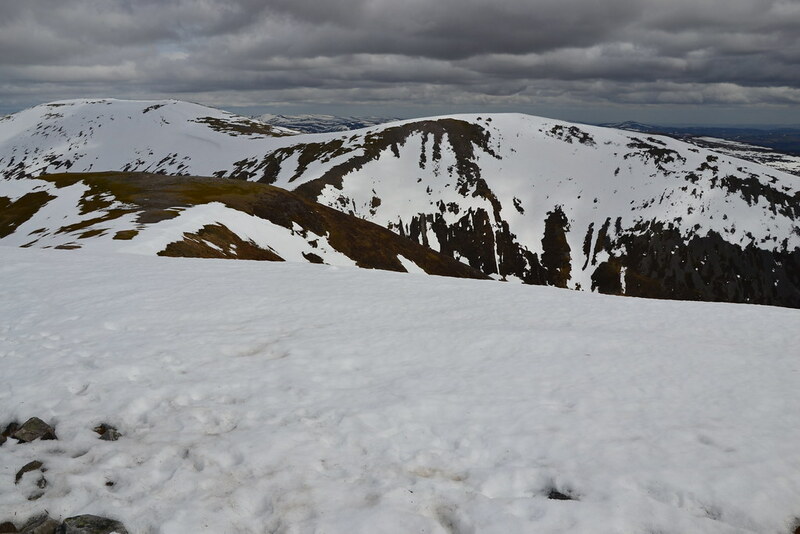 Having bagged all 3 before they said #3 was looking too snowy for their liking and that the descent off #3 is steeper than An Stuc! 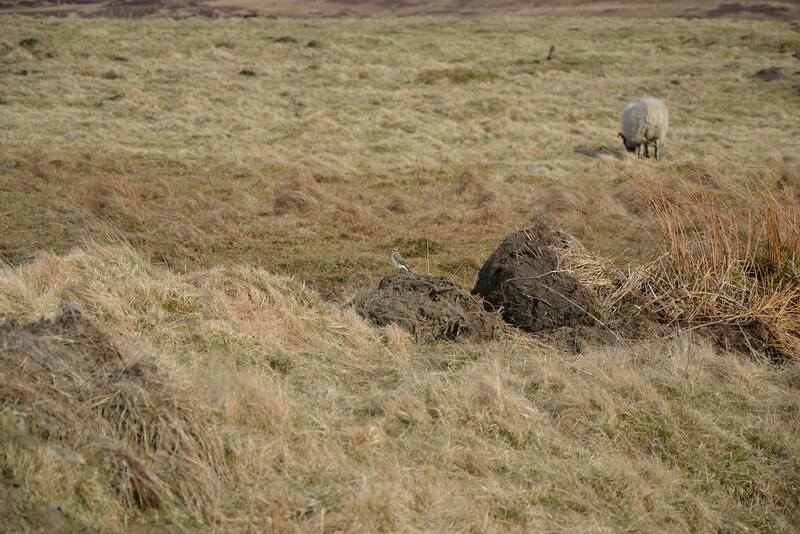 They were dropping down a stalkers path that takes you around #1 and rejoins the landrover track to get back to the car park. They also indicated that #3 is further away than you think - those seeds of doubt were planted! Peter and I headed on up #2 which again is a slog. 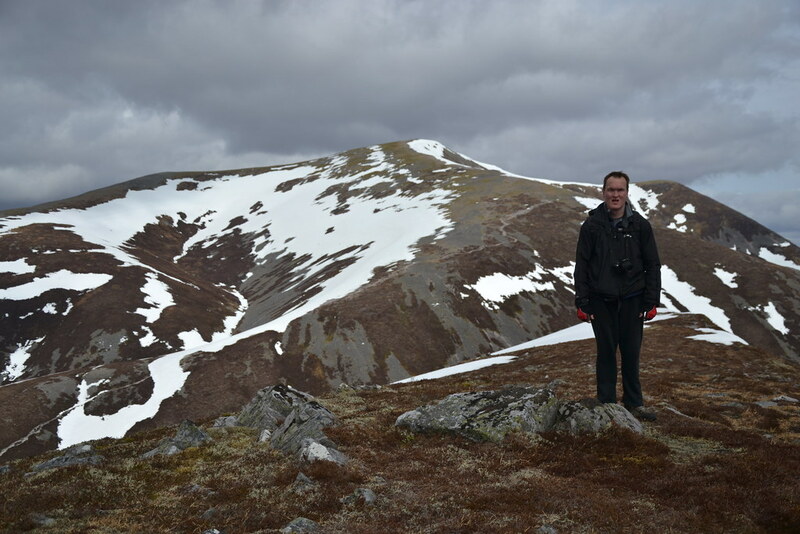 We met John Stanners of the Tayside mountain rescue who said if we tries #3 not to descend from the ridge, rather return to the bealach between #2 and #3 and drop down into the glen from there. 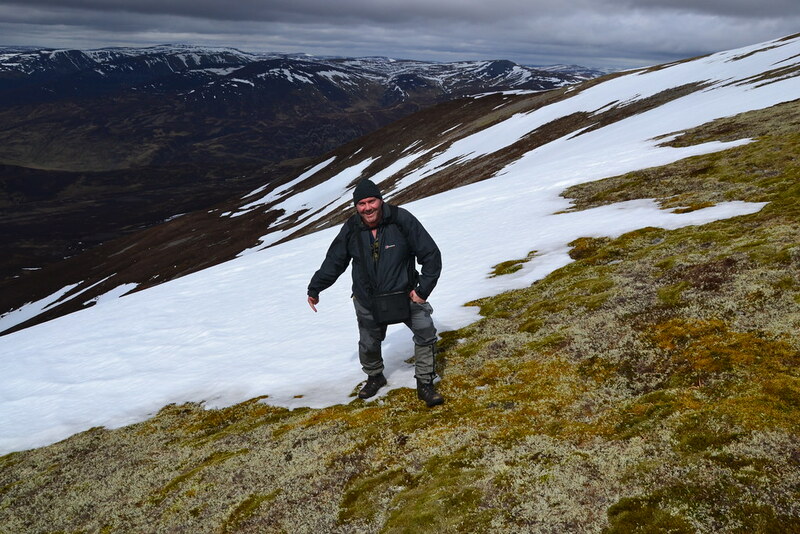 As we regained height the wind became pretty ferocious and the temperature plummeted. We made the summit of #2 (3510 feet) where no shelter was available to have our lunch. 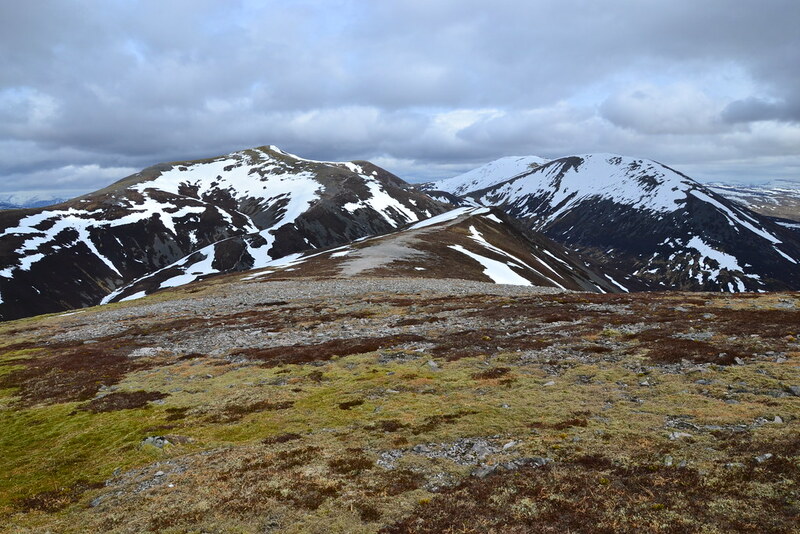 We took photos and video - the views to the 4000 footers around the Lairig Ghru were brilliant. We got the WH route printout out to study it. It was that windy it almost blew away! 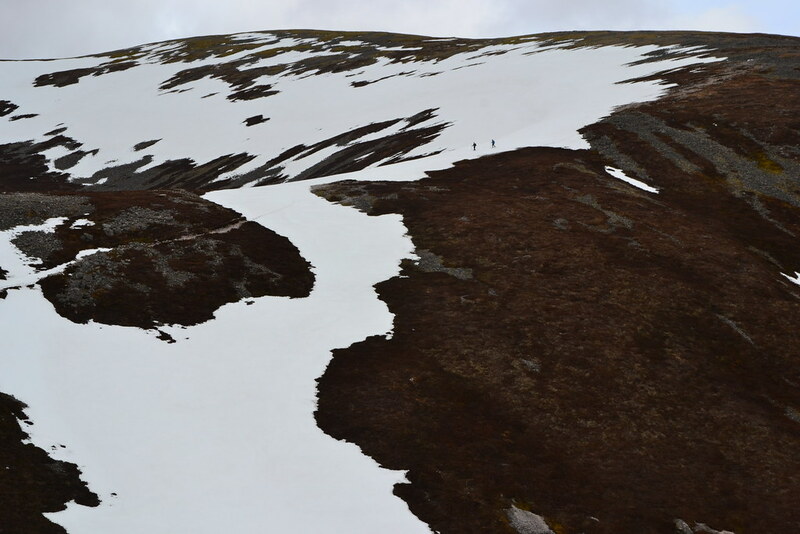 We could see that the traverse up the beallach from #2 to #3 was going to involve a fair climb in the "white stuff", combined with the sheer distance too, we made the decision to return and follow the route the couple had taken earlier. 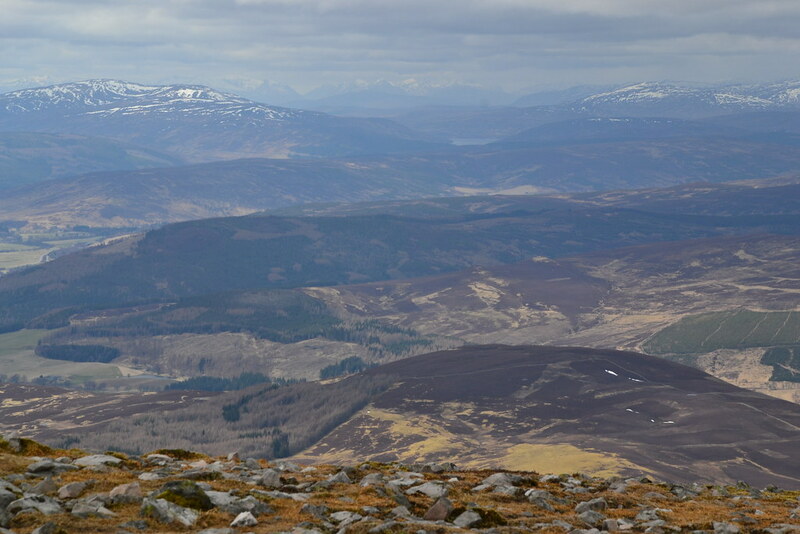 The descent back to the beallach was extremely unpleasant die to the extremely cold wind blowing right into our face. 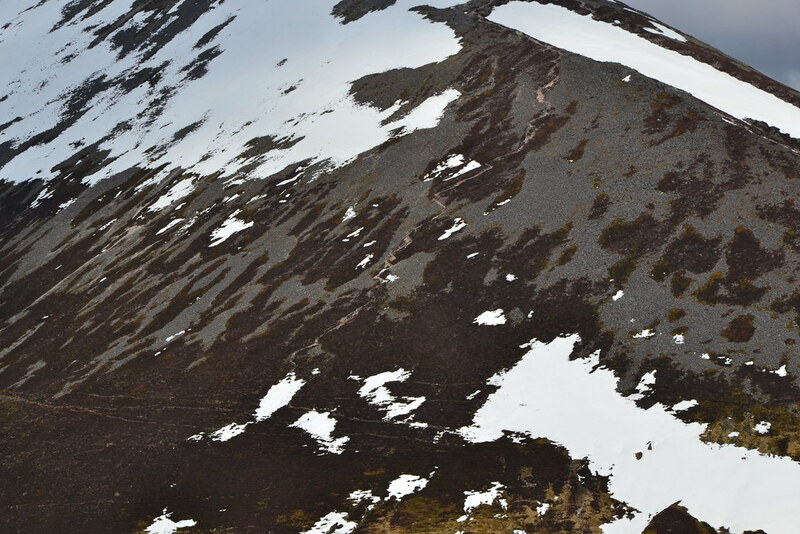 We met a single male climber equiped with an ice axe and he said he was going to try for #3. 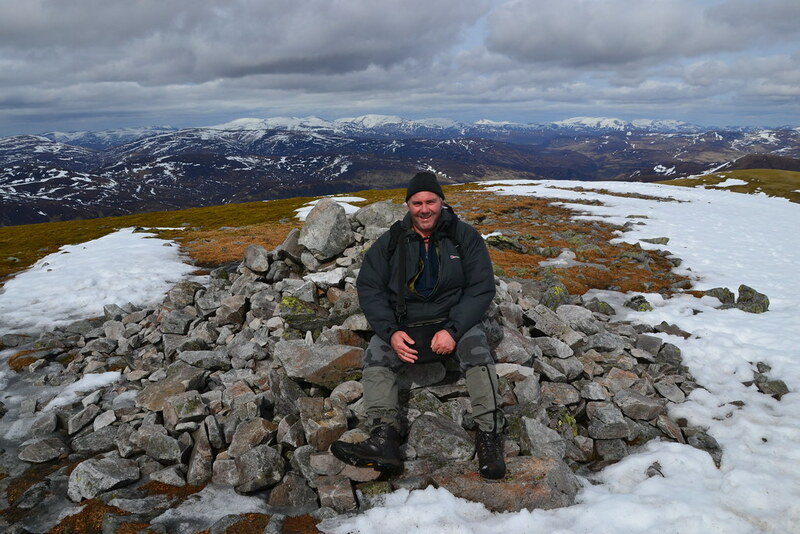 At the beallach we found shelter and sat down for a spot of lunch and a cup of coffee - nice! 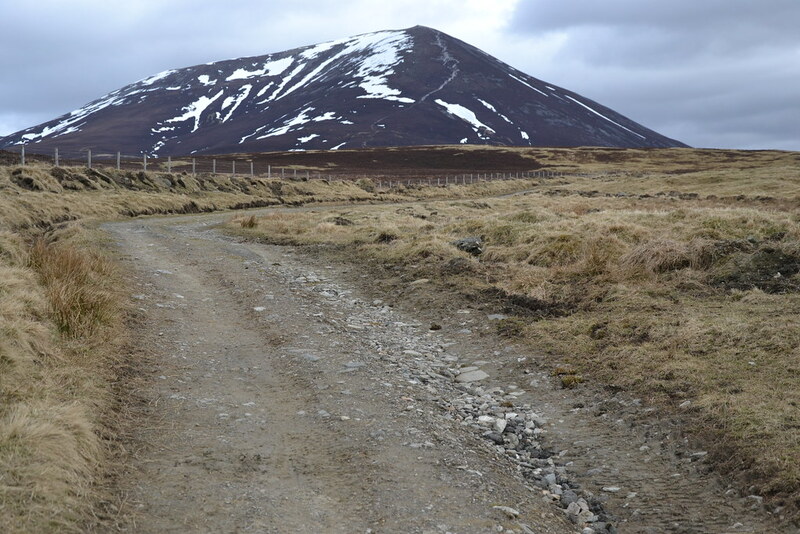 The return path is boggy but I've seen much worse. 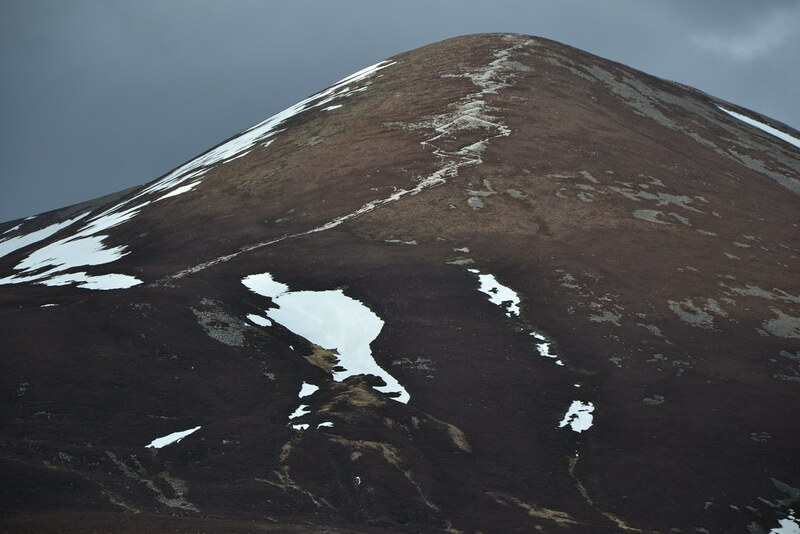 I've got to say that the descent off #3 from the ridge heading back towards #1 looks the scariest I've ever seen (I've descended An Stuc and also from Aonach Mor towards CMD). I wouldn't go down that #3 descent, I'd continue right down the snout of #3. A fall he would be really bad. Not having tried it, it probably isn't as bad as it looks mind you! 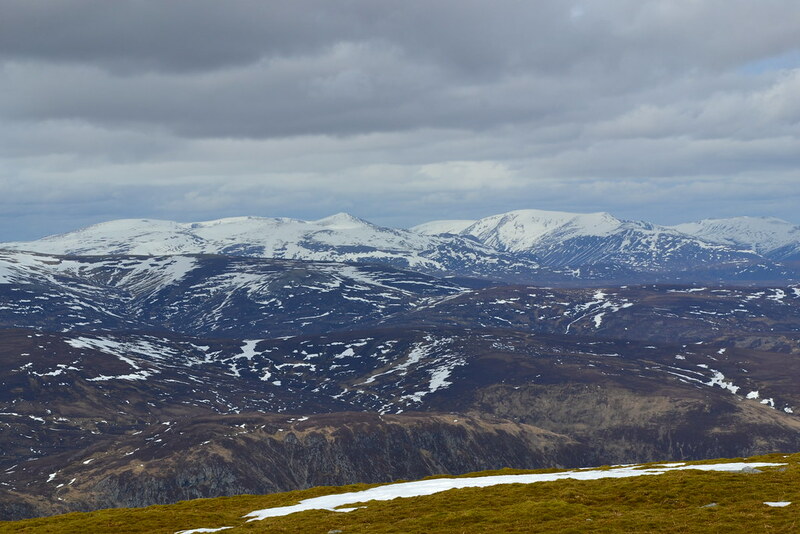 Also the beallach betwwen #2 and #3 looked a fair old descent/reascent. 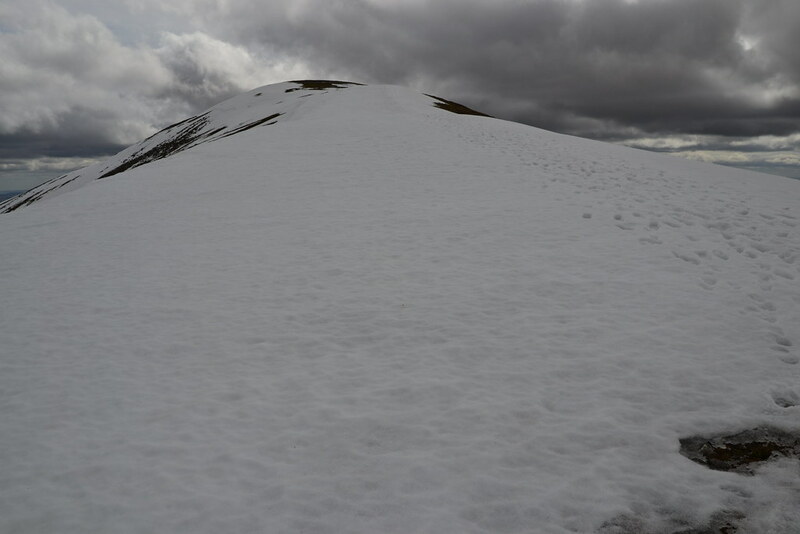 Snow was cornicing the ascent, so we were in my opinion totally right to avoid this one. In the words of the famous Meatloaf song "two out of three ain't bad". The walk back to the car is pretty long and we got back for 5:45pm, so 7.5 hours to do the 2. Timewise 3 would have been doable mind you but happy with 2 in the bag. 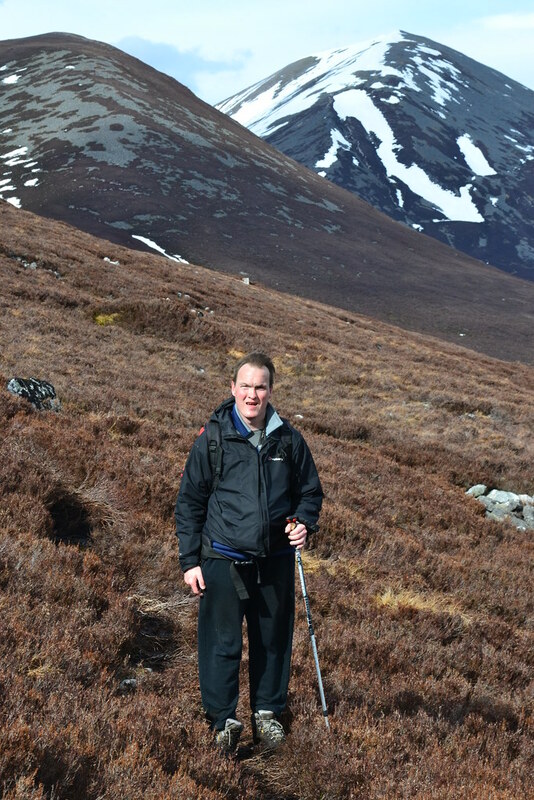 Nearing the car, another 2 munros bagged! 70 for me, 60 for Peter! 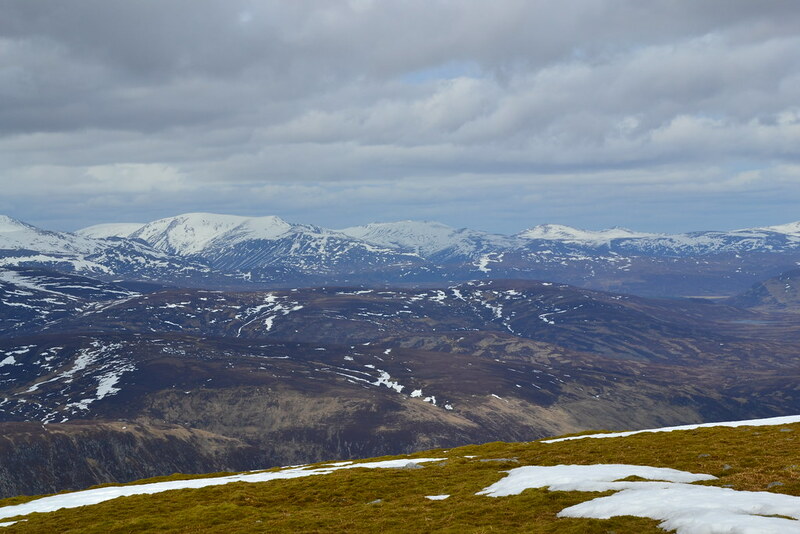 Sticking at two looks like the better part of valour to me - and leaves the last Munro (and Airgiod Bheinn) for when the footing's better. 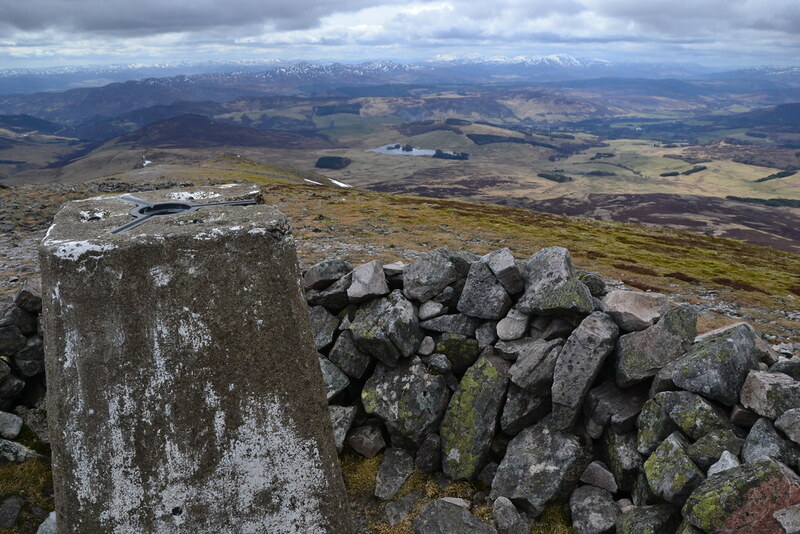 I missed out on the views, doing these in clag last year, but even without seeing far ahead, it's quite a walk with the ridge twisting and rippling like an especially well-fed snake. 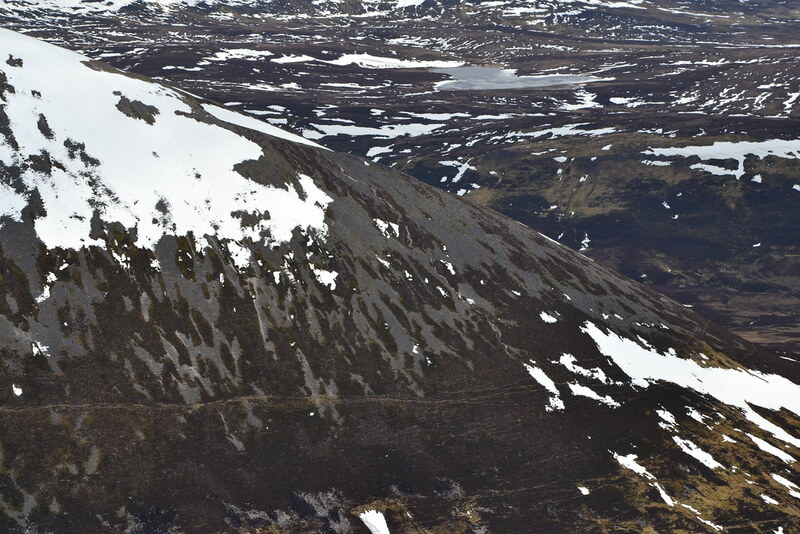 Gmr82, the path down is descending Airgiod Bheinn, rather than the route down from the Bealach. 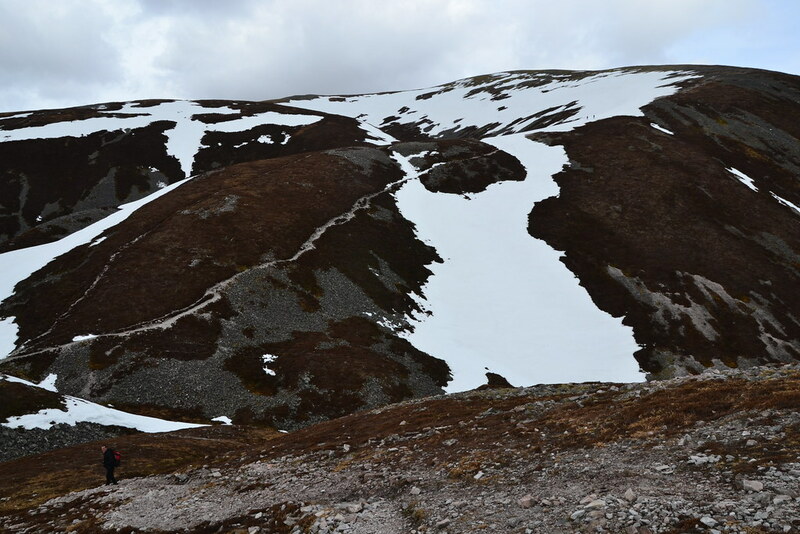 I've not seen the bealach route to compare, but will vouch that the AG descent is pretty steep and loose (at least, it felt that way to me - and that was in more-or-less dry conditions). Good report JW, is it a small car park? Can't believe that path, wonder if it is also visible from space. MTB'ing up Glen Tilt come the summer to get at the far two. 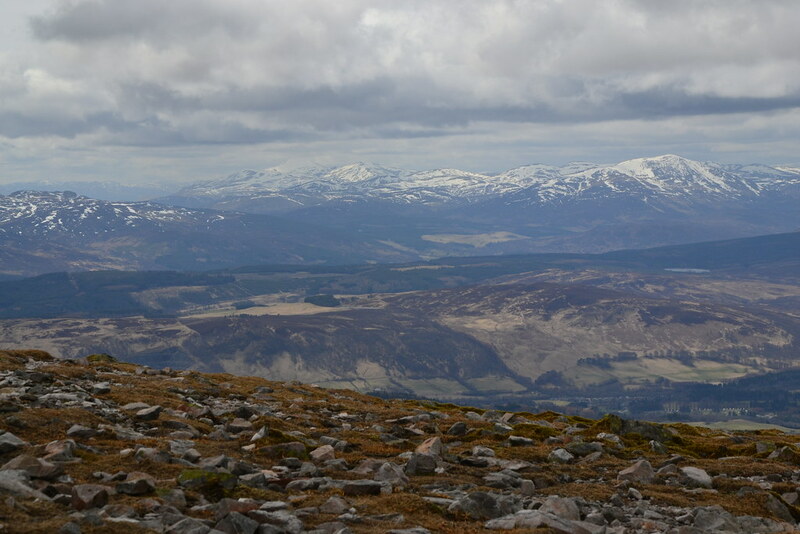 No, that's not the bealach that is off the (side) of the end of the ridge. 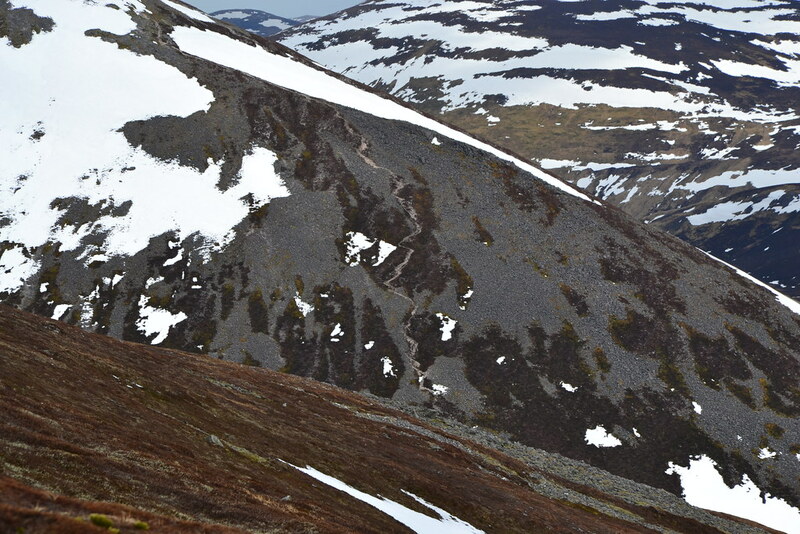 I'd just ignore that path and head all the way down off the end of the ridge, or descend to the bealach and find a descent into the glen from there. Nice to see these with some snow. 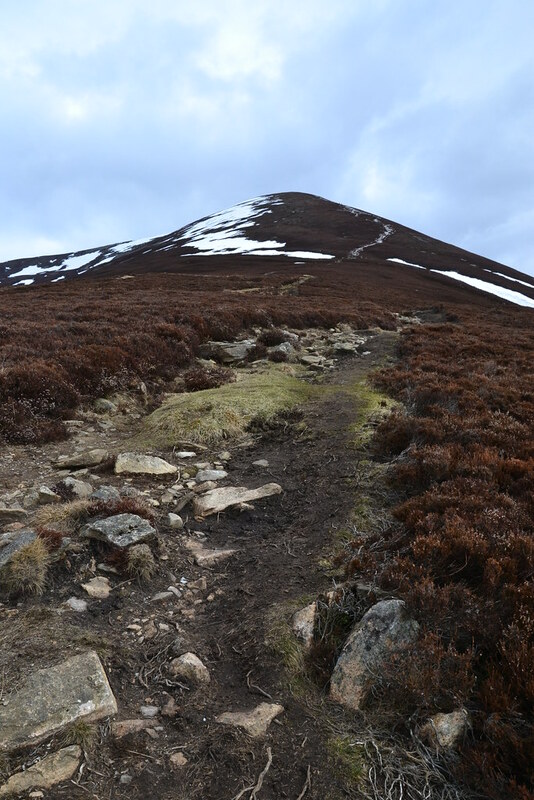 I did them the other way round and the eroded path coming off Carn Liath ain't so clever! 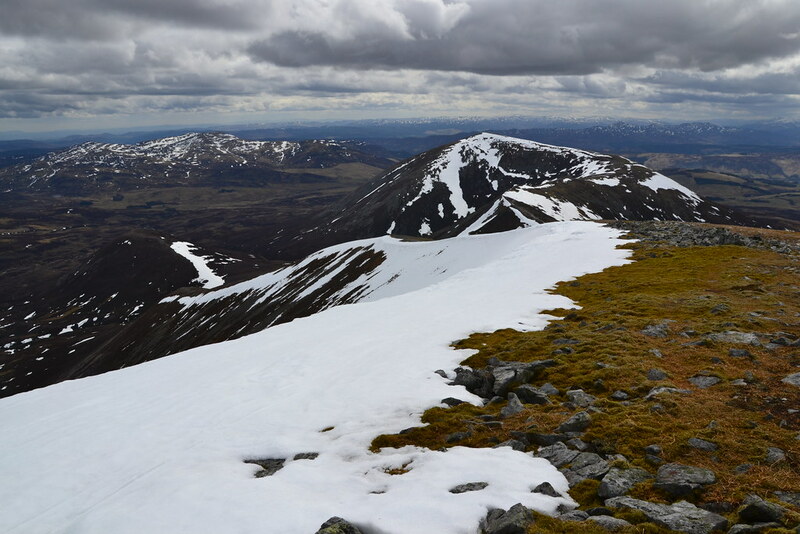 Only went across a few bits of snow, didn't attempt #3 as it looked far too snowy. None we crossed seemed deep.